The Senior Portfolio Manager in the Institutional Farmland Investment Program at John Hancock Financial Services in Boston. He was previously with the Office of Management and Budget - Agriculture Brandt - and with the Farm Credit System. Mr. Convad holds a B.S in agricultural business management from Penn State University and an M.S. in agricultural economics, with a concentration in finance, from Cornell University. 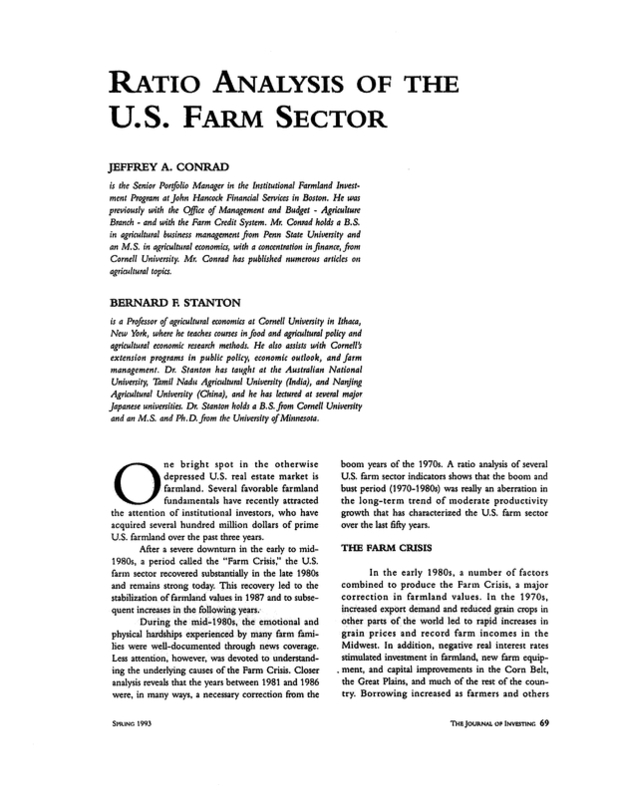 Mr. Conrad has published numerous articles on agricultural topics. A Professor of agricultural economics at Cornell University in Ithaca, New York, when he teaches courses in food and agricultural policy and agricultural economic research methods. He also assists with Cornell's extension programs in public policy, economic outlook, and farm management. Dr. Stanton has taught at the Australian National University, Tamil Nadu Agricultural University (India), and Nanjing Agricultural University (China), and he has lectured at several major Japanese universities. Dr. Stanton holds a B.S. from Cornell University and an M.S. and Ph.D. from the University of Minnesota.